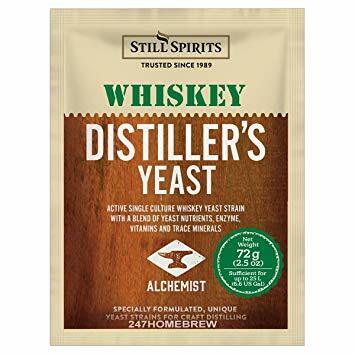 Whiskey Distiller's Yeast w⁄ AG - 72g - F.H. Steinbart Co.
to 15% abv. – very high for standard whiskey “low beers” Does batches up to 6.5 gallons.